Join us for our February Boocklub. 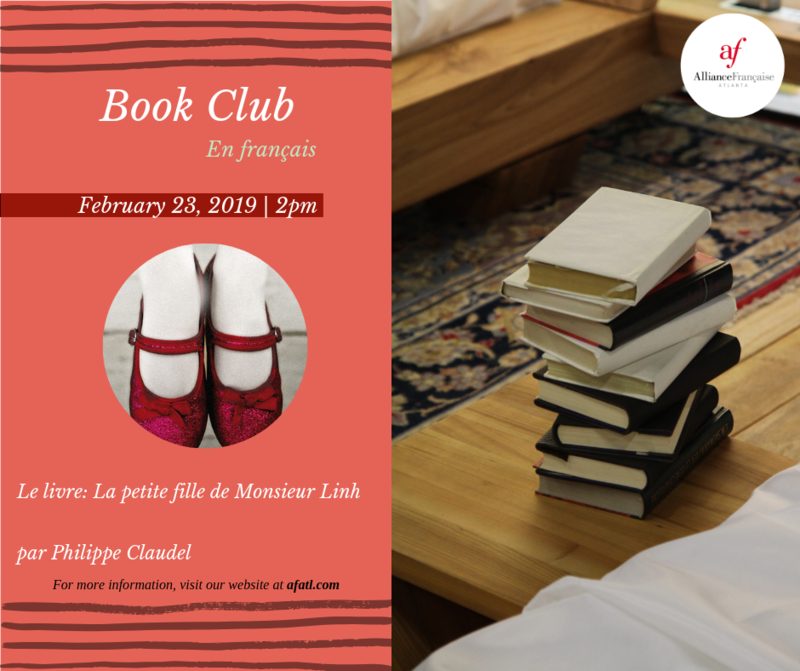 Book: La petite fille de Monsieur Linh by Philippe Claudel. Mr Linh is an East Asian refugee to France. His son and daughter-in-law were killed during war, and he has fled to France with his infant granddaughter. Despite the language barrier, he befriends the widower Mr Bark, whom he meets on a park bench. We have 5 copies of the book available in our Midtown office, but you can also find it on Amazon or Barnes & Nobles.